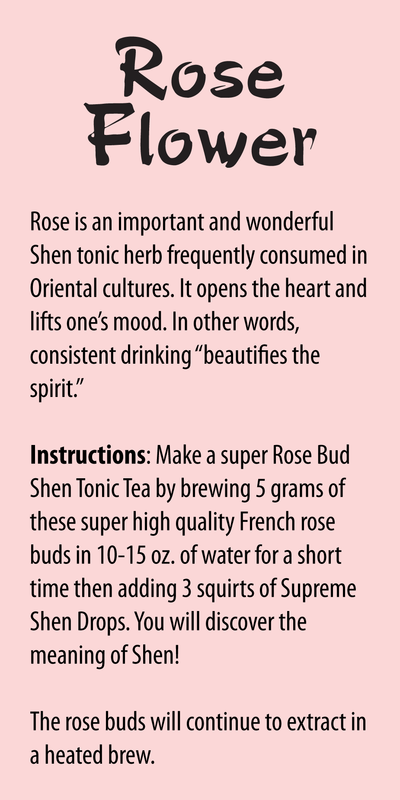 Rose flower is an important and wonderful Shen tonic herb frequently consumed in Oriental cultures. It opens the heart and lifts one’s mood. In other words, consistent drinking “beautifies the spirit”. The rose, undoubtedly the most popular flower in the world, speaks of love and has been the traditional choice of sweethearts during every century. Precisely how it came to be the universal symbol of love and beauty is unclear. However, the rose was a sacred flower of the Roman God Bacchus (God of Wine and Joy) and Venus (Goddess of Love and Beauty) who both considered the beauty and fragrance of flowers to be tied with romance and love. And the color red is associated with strong emotions since the time of Solomon, the primary flower linked to romance was always the rose. Cleopatra of Egypt covered the floor with roses before receiving Mark Anthony. A Roman myth is that Cupid was carrying a vase of sweet nectar to the gods on Mt. Olympus and spilled it on the ground. From that spot of spilled nectar, roses grew! 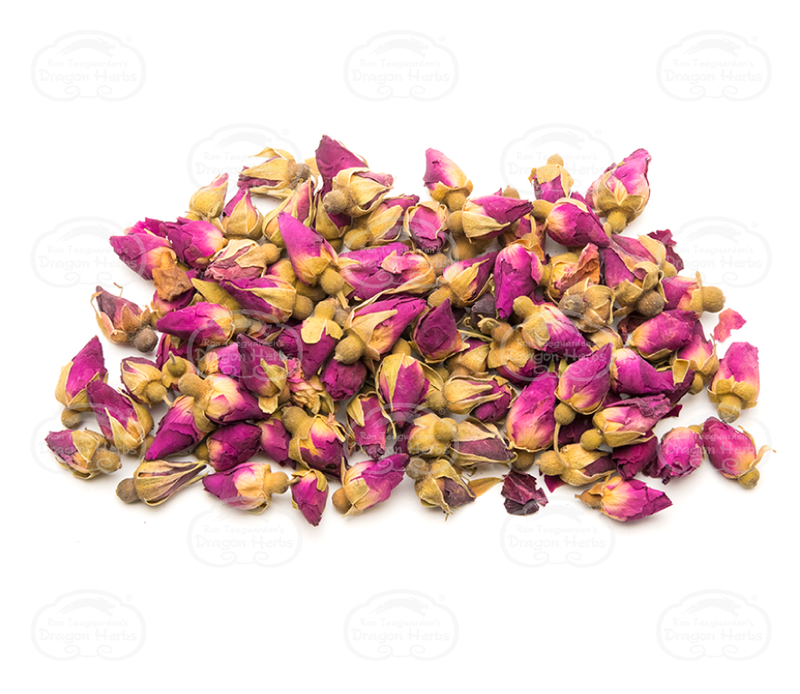 Rose petals have been used for centuries in the Far East to brew ethereal teas. 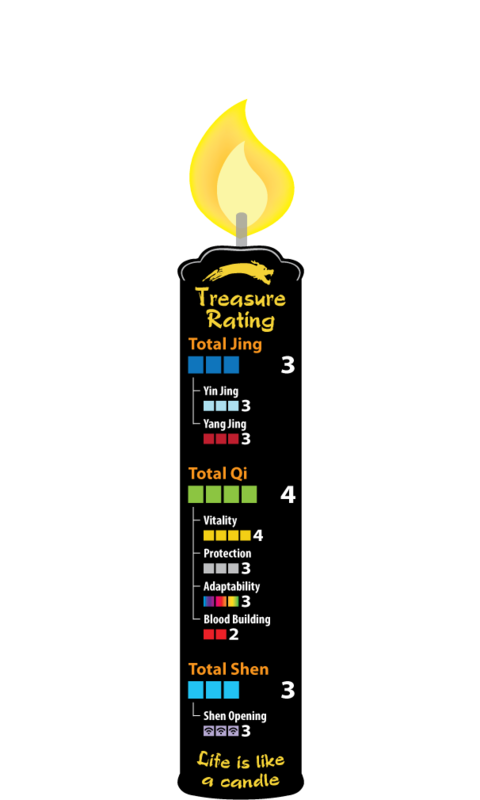 It is a perfect flower to brew in the DBG. Special roses are grown for the purpose – they are small, dense with aroma and flavor and stunningly beautiful in the DBG or as the garnish in the tea cup. 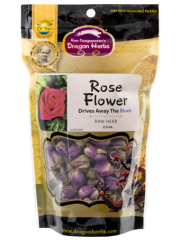 Dragon Herbs has selected from among dozens of varieties to offer this special grade Rose flower. Add 5-10 flowers into 8 oz of hot water.